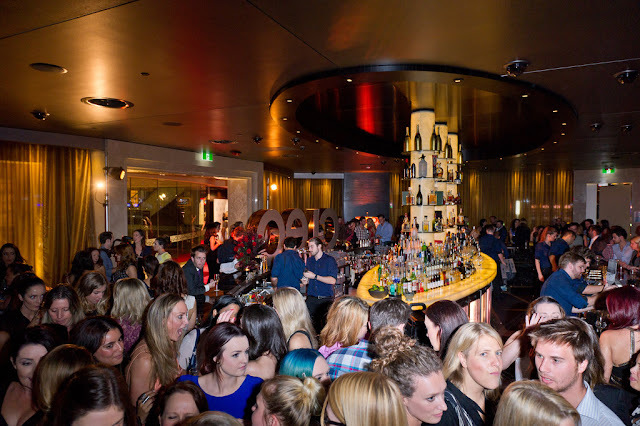 CLEO Australia has relaunched it's magazine last night with a star-studded affair at The Star's Cherry Bar. Introducing their guest of honour and newest addition to the magazine, CLEO editor Sharri Markson is thrilled to have Kelly Osbourne on board as their back-page columnist - "[Kelly] says what she thinks, she's honest...she's inspiring to girls because she has been through battles with weight, body image and self-esteem - and she's come through." Used to seeing Kelly give her style critiques on E! 's Fashion Police, it was great to see her looking fabulous in Aussie's Alex Perry while sharing with the crowd funny anecdotes from her Aussie trip downunder. From rose cocktails, CLEO photobooths, delectable canapes and killer tunes it was a night that showed Australia who exactly is the new CLEO magazine and that it's here to stay.